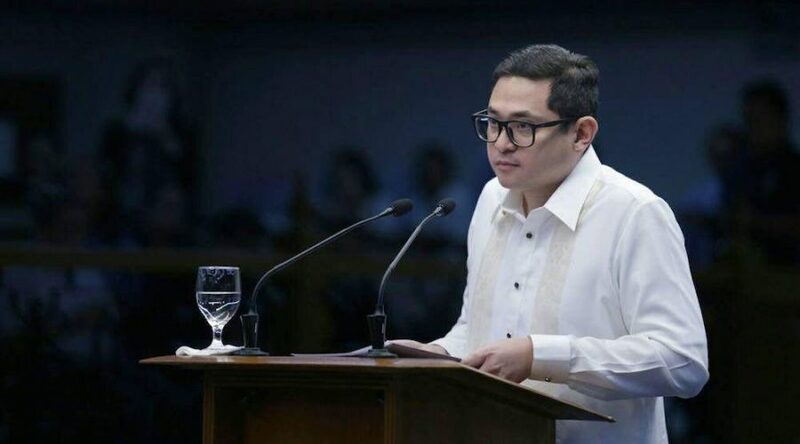 Senator Bam Aquino lauded colleagues for crossing party lines to approve the Bangsamoro Basic Law (BBL) on third and final reading, adding that this type of teamwork can also alleviate Filipinos from the rise in prices. “We are happy to see wide support for the BBL. We are hopeful that it will help usher in peace and development to the Bangsamoro region,” said Sen. Bam, who co-sponsored and co-authored the measure. “Sisikapin pa ng bicam members na pagbutihin ang BBL at siguraduhin na makakatulong ito sa pag-unlad ng Mindanao,” said Sen. Bam, referring to some contentious provisions of the Senate version, which he hopes can be ironed out during the bicameral conference committee. “With the BBL and even with the free college law, we’ve proven that we can work beyond political lines to pass reforms that will benefit the people. We should do the same to alleviate Filipinos from the rising prices,” added Sen. Bam, referring to his proposal to suspend the TRAIN law. Sen. Bam filed Senate Bill No. 1798, which seeks to rollback of TRAIN’s excise tax on fuel when average inflation rate surpasses the annual inflation target over a three-month period. “Nalulunod na sa taas ng presyo ang Pilipino ngunit walang nakahandang salbabida sa TRAIN Law,” said Sen. Bam, who hopes to strengthen safeguards in the law through his proposal. Sen. Bam to gov’t: Nasaan ang malasakit sa mahihirap na Pilipino? Nasaan ang malasakit niyo sa taumbayan? This was Senator Bam Aquino’s reaction to Budget Secretary Ben Diokno’s pronouncement that Filipinos should not be ‘crybabies’ amid the rising prices in fuel that led to the increase in prices of goods and services. “Makinig naman kayo sa daing ng taumbayan na nalulunod na sa taas-presyo at nabibiktima pa ng laganap na korapsyon,” said Sen. Bam, one of four senators who voted against the ratification of the government’s Tax Reform for Acceleration and Inclusion (TRAIN) Law. “Kung may kaya ka, matitiis mo pa ang taas-presyo. Pero ang mga nahihirapan at hindi na nakakayanan ang bigat ng presyo, tulungan na lang natin sila sa halip na sumbatan,” the senator added. Sen. Bam said poor Filipinos will be at the receiving end of every increase in prices of goods and services due to a hastily approved reform. “Malinaw na hindi nakapaghanda ang pamahalaan para maibsan ang hirap na dulot ng TRAIN. Walang nakahandang salbabida habang marami ang nalulunod sa taas ng presyo,” added Sen. Bam. “Halos 7.4 milliong pamilya pa ang hindi nakakatanggap ng cash transfer na sinusumbat nila. Saan sila kukuha ng pambayad ng bilihin?” Sen. Bam pointed out, referring to the unconditional cash transfer program under the TRAIN Law. Sen. Bam recently urged the Senate to address the rising prices to give relief to the poor who are already crying out for help. To strengthen safeguards against price surges, Sen. Bam filed Senate Bill No. 1798, which seeks to rollback of TRAIN’s excise tax on fuel when average inflation rate surpasses the annual inflation target over a three-month period. Dear colleagues, campaigning for relatives is a common experience for most, if not all of us here today. In my case, during the 1987 and the 1992 senatorial elections, I campaigned for my uncle, former senator Butz Aquino. Secretary Berna Romulo-Puyat, whom I call Ate Berna, was campaigning for her father, former senator Bert Romulo. I was 9 at the time, and she was maybe 15 or 16. And from then, until today, I consider her a big sister. In that group of youth volunteers, campaigning for our respective relatives, she was, in many ways, everyone’s Ate. Through the years, Berna Romulo-Puyat has had different professions. And she has excelled in all of them – despite being underestimated because of her looks and because she is a woman. While Ate Berna is definitely petit in stature, she is definitely not petit in competence. In fact, she earned a reputation as a terror prof in UP, much like her mentor Mareng Winnie Monsod. She would shock her students by sitting in the back of the classroom, blending in as one of the students, while they spoke candidly about her and her class, only to reveal belatedly, that she was the professor. As Undersecretary for Special Concerns at the Department of Agriculture, she didn’t just visit and speak to farmers, she worked with them, planting rice on the rice terraces and harvesting coffee beans in Bukidnon. Capable, passionate and inspired, she linked farmers to markets and institutional buyers here and abroad. She also used Madrid Fusion as a venue to showcase the produce of Filipino farmers made delicious by out local cooks… to the delight of foreign chefs and gourmands. Now, Sec. Berna is challenged to whip the Department of Tourism into shape, after the alarming reports of corruption and patronage in the agency. She’s tasked with the sustainable development of own our tourism industry, and with getting local and foreign tourists to be just as enthusiastic as she is about the wonders of the Philippines. We are confident she is up to the task and will get the job done! You underestimate Berna at your own peril. With that, Mr. Majority Leader, Mr. President, let me state my full support for the confirmation of the ad interim appointment of Sec. Berna Romulo-Puyat as the Secretary of our Department of Tourism. Instead of suspension, Sen. Bam Aquino is pushing for an immediate rollback on the excise tax on fuel under the Tax Reform for Acceleration and Inclusion (TRAIN) Law amid the people’s cry for an end to the rise in prices of goods and services. “Humihingi na ng saklolo ang mga manggagawa at iba pang sektor. Umaksyon na tayo at i-roll back ang excise tax sa petrolyo,” stressed Sen. Bam, referring to labor groups crying out for higher wages. “A suspension in 2019 is too late. Makinig na tayo sa daing ng mamamayan na nalulunod na sa pagtaas ng presyo,” added Sen. Bam, one of four senators who voted against the ratification of the government’s tax reform program. Sen. Bam stressed that the government must admit the problems caused by the tax reform program and find solutions to lower prices of goods and services by rolling back the excise tax. “Hangga’t hindi inaamin ng administrasyon na problema ang TRAIN. Hindi magkakaroon ng solusyon ang pagtaas ng presyo,” said Sen. Bam. Sen. Bam has filed Senate Bill No. 1798, where he sought for the rollback of TRAIN’s excise tax on fuel when average inflation rate surpasses the annual inflation target over a three-month period. Sen. Bam included this safeguard during the TRAIN deliberations, but the provision was removed from the final draft of the law during the bicameral conference. “Hindi hihigit sa 70 billion pesos ang mawawala sa koleksiyon ng buwis kung i-roll back natin ang excise tax ngayon. Ipagkaloob na sana ng gobyerno iyon para ginhawaan ang mga Pilipino,” said Sen. Bam. Sen. Bam stated in his recent privilege speech in the Senate that the targeted 2018 collections from the excise tax on fuel is 70 billion pesos, while government underspending for 2017 is at 390 billion pesos. “I-roll back natin ang excise tax ngayon para pababain ang presyo ng bilihin at matulungan ang lahat ng sektor sa isang bagsakan,” added Sen. Bam. 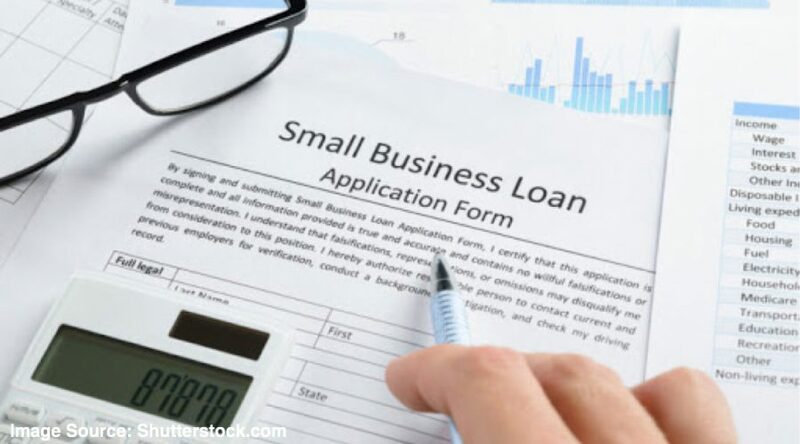 The measure that will give micro, small and medium enterprises (MSMEs) better access to financing was approved by the Senate on third and final reading, according to its principal author, Sen. Bam Aquino. Sen. Bam Senate Bill No. 1459 or the Personal Property Security Act hurdled the Senate on third and final reading via an overwhelming 21-0 vote. The House has already passed its version on 3rd and final reading. “Makakatulong ito sa mga maliliit na negosyo na nahihirapan makakuha ng mga loan sa bangko. Suportahan natin ang paglago ng maliliit na negosyo na kabhuayan ng mga pamilyang Pilipino,” said Sen. Bam. If passed into law, Sen. Bam said MSMEs will be allowed to use other properties, such as inventory and equipment, as collateral for loans. Usually, Sen. Bam said banks and other financial institutions prefer immovable assets like land. “Sa panukalang ito, mas madali at mas ligtas para sa mga bangko ang magpautang sa mga maliliit na negosyo,” Sen. Bam pointed out, adding that banks are more likely to offer loans to our small businesses, thus helping them grow. According to Sen. Bam, a former social entrepreneur, a successful business is a way out of poverty for many Filipinos. “Ang pagpasa sa Personal Property Security Act ay pagsuporta sa mga maliliit na negosyo at pamilyang Pilipino,” Sen. Bam stressed. Sen. Bam explained that assets of MSMEs are mostly personal in nature, including equipment, inventory, livestock, motor vehicles and receivables, which makes it difficult for them to meet bank requirements to get loan approvals. With this measure, MSMEs can use these personal properties and assets as collateral in acquiring loans from banks and other financial institutions. During the technical working group (TWG) conducted by the Committee on Banks, different financial associations and concerned government agencies have supported the passage of the measure. Sen. Bam said the proposal can provide a win-win situation for both MSMEs and banks with a healthier loan environment. Countries like China, Vietnam and Mexico have passed a similar measure and helped more than one million entrepreneurs and unlocked value amounting to $4 billion. As an advocate of small business development, Sen. Bam passed several laws to support the sector, including the Go Negosyo Act, Youth Entrepreneurship Act, Philippine Competition Act, Foreign Ships Co-Loading, Microfinance NGOs Act and the Credit Surety Fund Cooperative Act. Ipaglaban naman natin ang talagang atin. 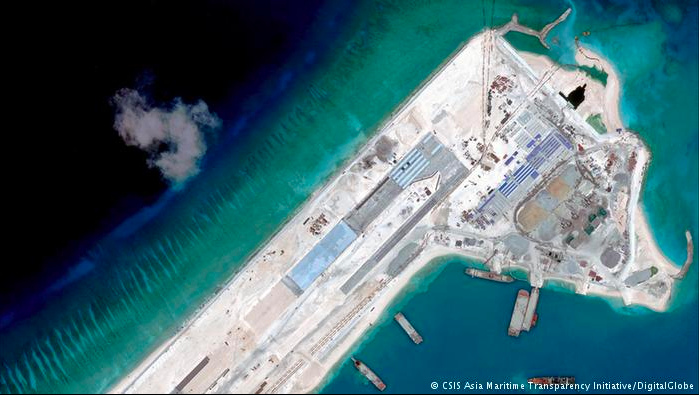 China invaded undisputed Philippine waters and installed missiles. Gawain ba ‘yan ng isang kaibigan? Kumilos naman tayo para sa kinabukasan ng bansa at ng mga Pilipino. We support the convening of National Security Council (NSC) and hope the President listens to our security experts. We also filed a resolution to investigate the installation of missiles in Panganiban ang Zamora Reefs. 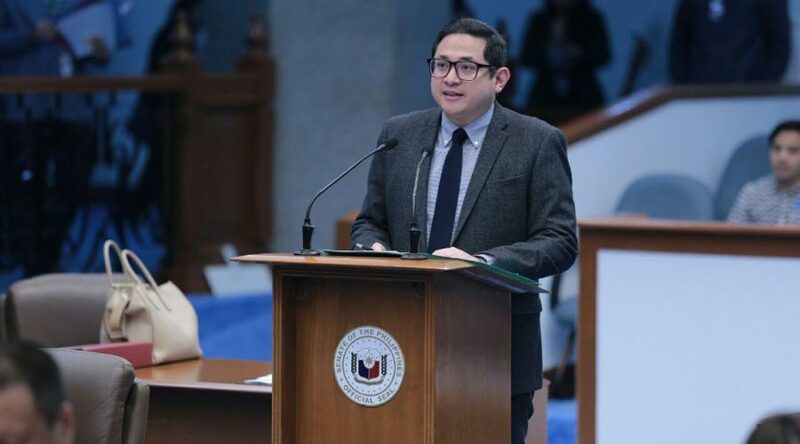 Senator Bam Aquino challenged the government to act now and roll back the excise taxes on petroleum products under its tax reform program to lift the burden of high prices on the Filipino people, especially the poor. “Nalulunod na ang mga Pilipino sa taas ng presyo. Huwag na natin antayin na tumaas lalo ang bilihin,” said Sen. Bam, one of four senators who voted against the ratification of the Tax Reform for Acceleration and Inclusion (TRAIN) Law. ”Aantayin pa ba nila ang 2019? 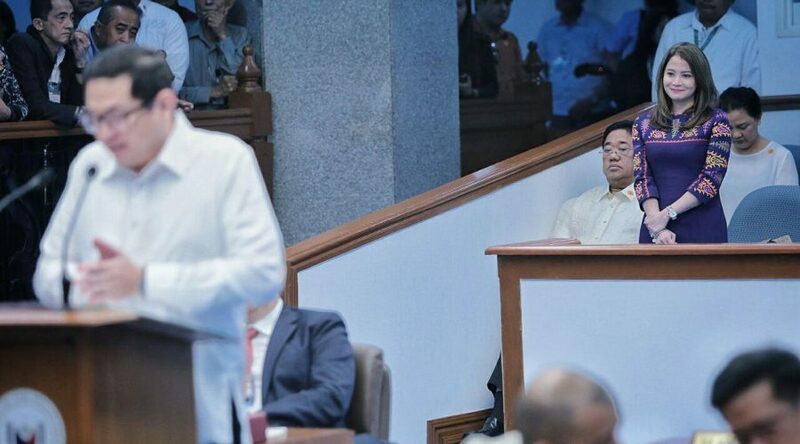 Hindi pa ba aaksyon ang pamahalaan?” asked Sen. Bam. Sen. Bam made this pronouncement after the Department of Energy (DOE) declared that the TRAIN Law allows for immediate suspension of excise taxes on petroleum products. However, the DOE said the suspension would only cover the additional excise tax due for 2019. “Next year is too late. Hirap na hirap na ang mga Pilipino sa pagtaas ng presyo,” said Sen. Bam. In his privilege speech on Wednesday, Sen. Bam emphasized that one of the ways to alleviate the burden of the Filipino people is to suspend the excise tax on petroleum products under the TRAIN Law. In his Senate Bill No. 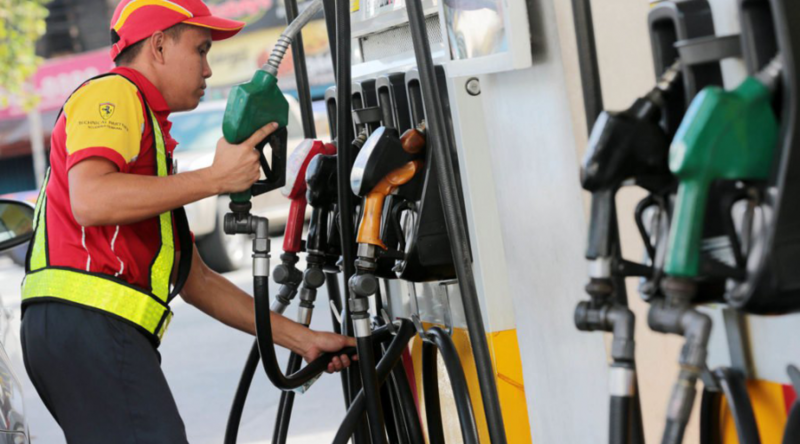 1798, the excise tax on fuel under the TRAIN Law will be rolled back when the average inflation rate surpasses the annual inflation target over a three-month period. Instead of making excuses, Senator Bam Aquino called on the government to find solutions to lower the prices of goods and services due to the Tax Reform for Acceleration and Inclusion (TRAIN) Law. In his privilege speech on Wednesday, Sen. Bam insisted that the Filipino people are heavily burdened by the high prices of goods and services, in addition to the impending increase in electricity and jeepney and LRT fares. 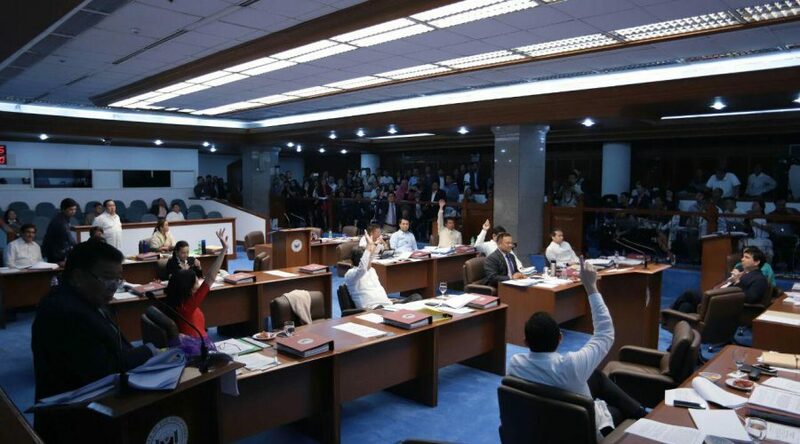 “Nalulunod na po ang mga mahihirap nating kababayan sa patuloy na pagtaas ng presyo ng bilihin,” said Sen. Bam, one of four senators who voted against the ratification of TRAIN Law. “Tumataas din ang presyo ng kuryente, ang presyo ng bigas, at humihingi na ng fare hike ang mga jeepney drivers at operators, pati na ang LRT. Kaya naman napakarami na ang umaalma,” added Sen. Bam. Sen. Bam emphasized that the effects of the TRAIN Law in the increase in prices of commodities are evident and the Filipino people are crying for help from the government to alleviate their plight. 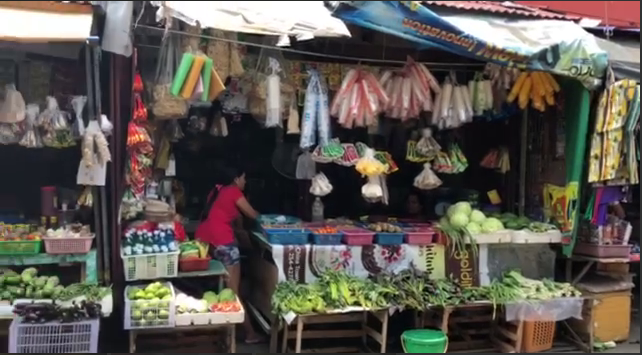 Sen. Bam pointed out that Filipinos, especially the poor, are expecting the government to provide solutions to the increase in prices of goods and services. “Habang patuloy ang debate sa mga rason ng pagtaas ng presyo, ang hinahanap ng taumbayan solusyon, hindi po dahilan,” said Sen. Bam. In his speech, Sen. Bam offered three solutions to alleviate the burden of the Filipino people brought about by the TRAIN Law, including the full implementation of the unconditional cash transfer program under the TRAIN Law and by addressing the high price of rice in the market. Most importantly, Sen. Bam batted for the passage of his measure that seeks to suspend the excise tax on fuel under the TRAIN Law when the average inflation rate surpasses the annual inflation target over a three-month period. “Under this bill, when inflation exceeds the target range for three consecutive months, the excise tax on fuel will be rolled back,” said Sen. Bam. Sen. Bam successfully included this safeguard during the TRAIN deliberations, but the provision was removed from the final draft of the law during the bicameral conference. A senator has submitted a measure seeking to provide monetary compensation to Marawi City residents who lost their homes and other private properties to the infamous siege that happened one year ago today (May 23) and lasted for five months. In his Senate Bill No. 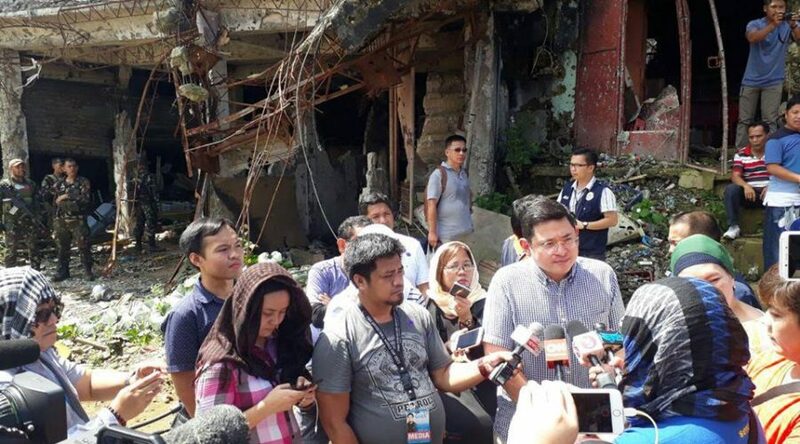 1816, Senator Bam Aquino said the monetary compensation will provide Marawi residents with means to immediately recover from the damage and destruction to their homes and private property caused by the Marawi siege perpetrated by the ISIS-inspired Maute group. “The Marawi crisis left thousands of Marawi residents without shelter, jobs and other means of livelihood,” said Sen. Bam, a member of the Special Committee on Marawi City Rehabilitation. “Kailangan nila ng agarang tulong mula sa pamahalaan upang sila’y makabangon at makabalik sa normal na pamumuhay,” added Sen. Bam. On May 23, 2017, the ISIS-inspired Maute Group attacked Marawi City, destroying public infrastructure, private properties and holding hundreds of civilian hostage. The attack displaced thousands of Marawi residents from their homes and forced them to seek shelter in evacuation centers or live with their relatives in nearby cities. The attack also destroyed business establishments that served as source of income, livelihood and employment for many Marawi residents. After five months of fighting, government forces successfully regained control of the city and killed known international terrorist Isnilon Hapilon and Omar Maute. However, the intensified conflict left Marawi City in shambles, destroying around P20 billion worth of properties. Earlier, the National Economic Development Authority (NEDA) estimated that it will cost around P51.7 billion to rebuild Marawi City. Lanao del Sur 1st District Rep. Ansaruddin Alonto Adiong is the principal author of this bill in the House of Representatives. On February 26, 2018, Sen. Bam filed Senate Resolution No. 661 directing the Special Committee on Marawi City Rehabilitation to conduct a probe into the government’s moral and ethical obligation to provide financial assistance and support to victims of the siege. However, Sen. Bam’s resolution was not acted upon. We welcome the openness of Malacanang to the suspension of additional excise taxes in 2019, but this is too little, too late. Ang hinahanap ng taumbayan ang pag-rollback sa presyo ng petrolyo at iba pang bilihin. Kaya sa aming panukala, babawiin pati ang dinagdag na excise tax on fuel na pinataw na sa merkado ngayong 2018. Umaasa kami na susuportahan ang safeguard na ito ng aming mga kasama sa Senado. Kailangan protektahan mula sa TRAIN at taas-presyo ang mga mahihirap na Pilipino. Nalulunod na sa taas ng presyo ang ating mga kababayan.